Simple problems demand simple, affordable solutions. With a slimmer profile than a standard jewel case with just as much protective and visibility, you’ll just love this Slim jewel case package. It’s an excellent way to finish off your CD duplication order. 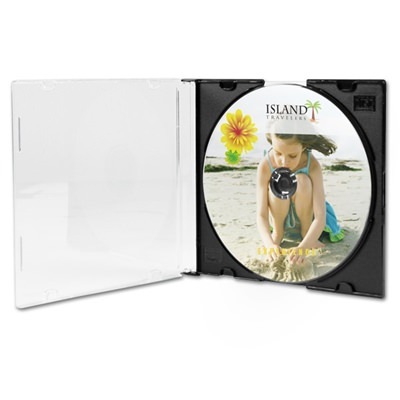 This package includes a custom printed and copied disc (CD) pre-inserted into a slim custom jewel case. If you need just the basics, this is the CD packaging for you.